Diamond Shaped Dangle Width: 1/2"
Aviation Earrings: Our newest 14K Gold and Sterling Silver Earrings are just so charming. Fashioned for Tailwinds, these made in the U.S.A. airplane earrings add some fantastic plane style to the wearer’s ear. 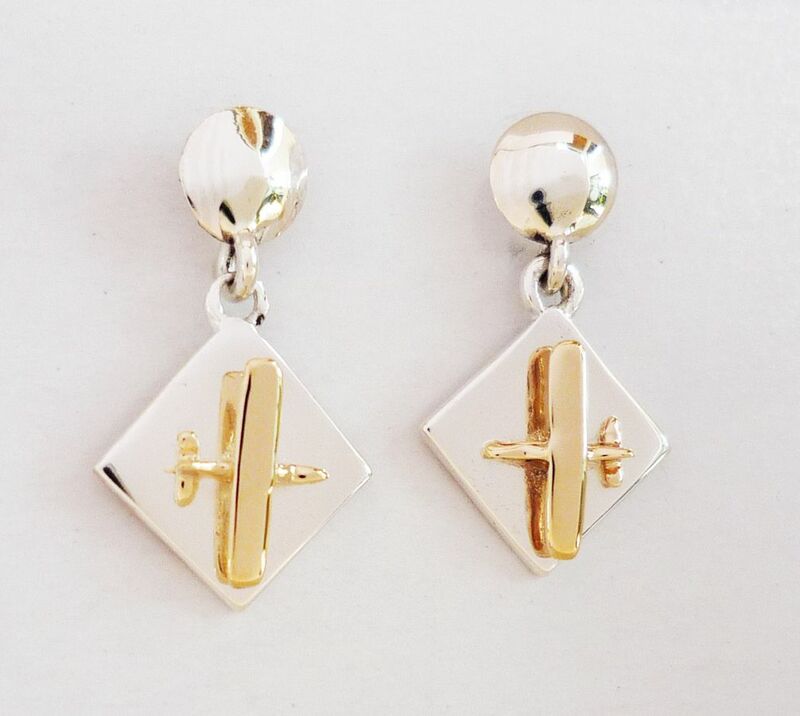 The high wing version of these aviation earrings have the wing positioned at the top of the fuselage like Cessna aircraft, Piper Cubs, and taildragger aircraft to name a few. These fabulous airplane earrings arrive in a gift box.